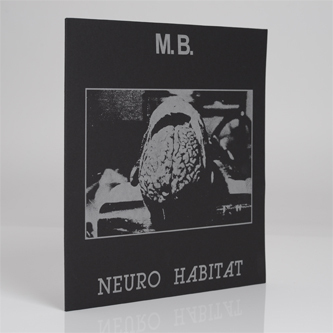 Seriously bleak and affective M.B. sounds, recorded in 1982. Following suit with the mighty 'Regel', this one affords more melodic colour and clarity than his noisier emissions while still smothered in signature electronic distortion. The 23 minute A-side 'Mörder Unter Uns' is shockingly sore; gloomy chords rise in solemn progression from a decaying, caustic bed of abstract swirl, provoking an emotional response recalling experiences listening to all sorts from Coil to Autechre, Kareem or Lustmord. 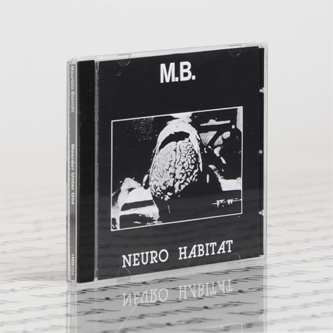 The B-side's 'Neuro Habitat' is further abstracted with almost dub-like comtrails evaporating into noxiously etheric atmosphere, cutting deep into non-linear folds of extreme sonorities and keening textures with an uncompromising, nauseating and enigmatic appeal. Highly recommended.